Google has announced they are considering closing their offices in China and shutting down Google.cn following cyber attacks on the company’s systems. Google reports they detected a highly sophisticated and targeted attack on their corporate infrastructure which originated from China. Although it was initially considered to be a major security incident, Google discovered the attack affected at least 20 large companies. They have evidence which suggests the hackers primary goal was to access the GMail accounts of known Chinese human rights activists. Their investigation led them to discover that the accounts of dozens of human rights activists from the US, Europe and China have been regularly violated by unauthorized third parties. However, in most cases, the accounts were probably breached using malware or phishing scams. Although Google has been careful to avoid any finger-pointing at the Chinese authorities, they have released details about the attacks on their official blog. These attacks and the surveillance they have uncovered — combined with the attempts over the past year to further limit free speech on the web — have led us to conclude that we should review the feasibility of our business operations in China. China has the world’s largest internet population with over 300 million web users. The majority use the country’s own Baidu search engine, but Google still holds a 29% market share. 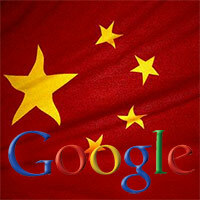 Should Google quit China? Has Google become so influential, that it can strike back at Governments it disagrees with? I suspect this story will evolve over the coming months.